Wyndham Hotel Group is adding the ‘by Wyndham’ label to 12 signature economy and midscale brands, with the brand now set to appear on 7,074 hotels around the world. 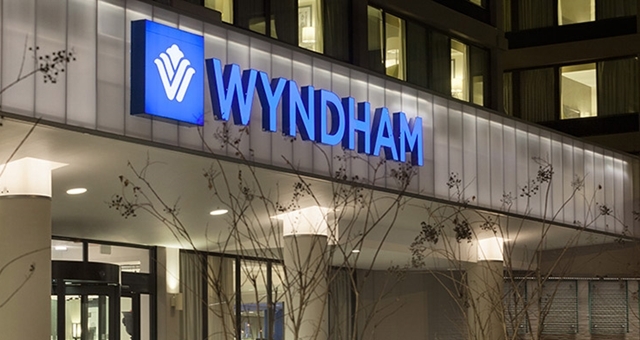 Unveiled in front of thousands of its franchisees at the company’s Global Conference this week (Apr 19), the plan to unite its signature lodging brands under the Wyndham banner is one of the largest name changes in the industry’s history. “As the leader in midscale and economy lodging, the Wyndham name has become synonymous with making hotel travel possible for all,” said Barry Goldstein, Wyndham’s executive vice president and chief marketing officer. The “by Wyndham” cross-branding initiative represents a further evolution of the Company and its brand portfolio leading up to its spin-off as a pure-play hotel franchising and hotel management company (Wyndham Hotels and Resorts, Inc.), which is scheduled to occur later this quarter. Wyndham’s Wingate, Microtel, Hawthorn Suites and TRYP brands already incorporate “by Wyndham”, and all twenty of the Company’s hotel brands participate in its award-winning Wyndham Rewards loyalty program, which has more than 55 million members. “In a world with thousands of hotel brands available, guests look to names they trust, like Wyndham, which they know means a quality experience and exceptional service,” said Wyndham’s senior vice president, Global BrandsLisa Checchio. The company says the shift also reinforces the power of Wyndham Rewards, which continues to drive loyalty to the entire family of brands. Guests will now be able to easily associate each “by Wyndham” brand with the top-ranked program – giving them peace of mind and a reason to return again and again.